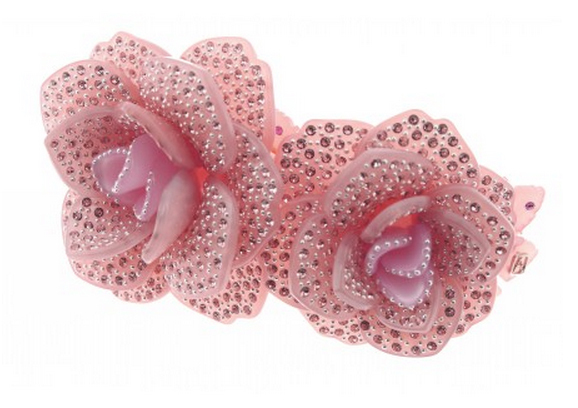 Spring is full of flowers, butterflies, Japanese fans, and a bird of paradise at Alexandre de Paris. The pieces mix layers of clear acetate with solid forms in different colors, decorated with rhinestones. Online, you see mostly black. In the stores, the limited-edition pieces are available in beige and pink. 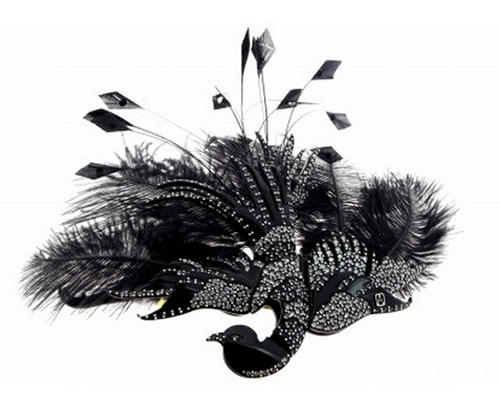 The most complex and magnificent piece this year is this bird of paradise, as it is a mixture of solid acetate with rhinestones, geometric plumes, and feathers. 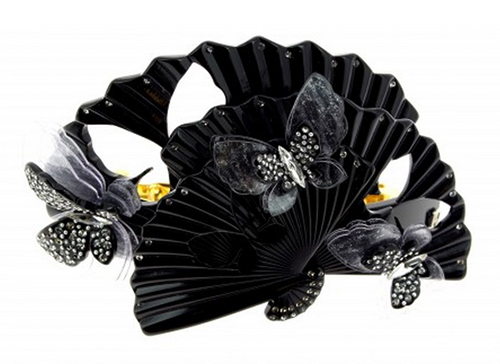 Another stunning piece is made up of three fans with butterfly decorations. 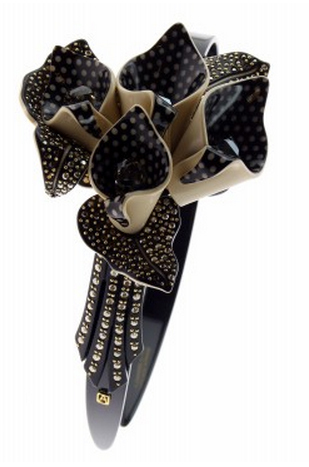 Taking a Japanese theme, the first fan has one butterfly — a solid-acetate black center with white rhinestones backed up by two layers of clear acetate. 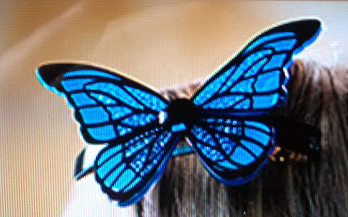 On the second fan, to the left, you have the black butterfly upside down underneath a solid white butterfly, which has a touch of gold of the bottom right wing. The third fan at the back has the black and white butterflies juxtaposed. My third favorite is this calla lily bandeaux. 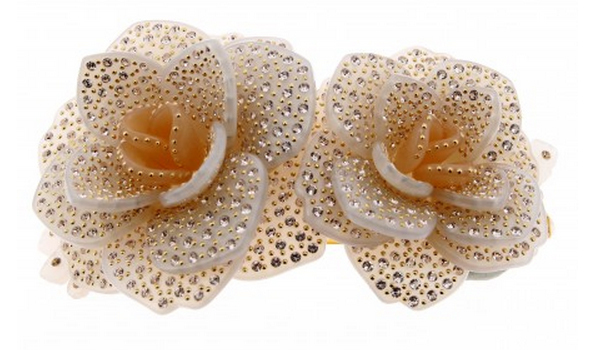 Beige outsides contrast with black rhinestoned insides, not exactly representative of the real flower, but very much in the French art deco tradition. The roses and butterflies will come in many delightful spring colors this year.